We all know the many challenges that Service Advisors must face every day. These three courses were designed by a professional team of Service Consultants with over 100 years of combined “in-the-lane” retail sales experience. 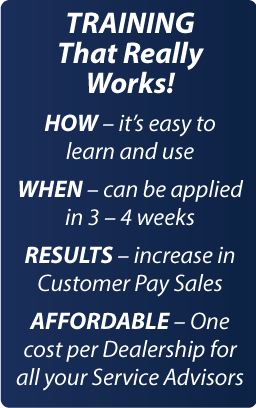 Our web based training courses are simple, easy to learn and easy to apply. MP3 audio format is also included for listening convenience. 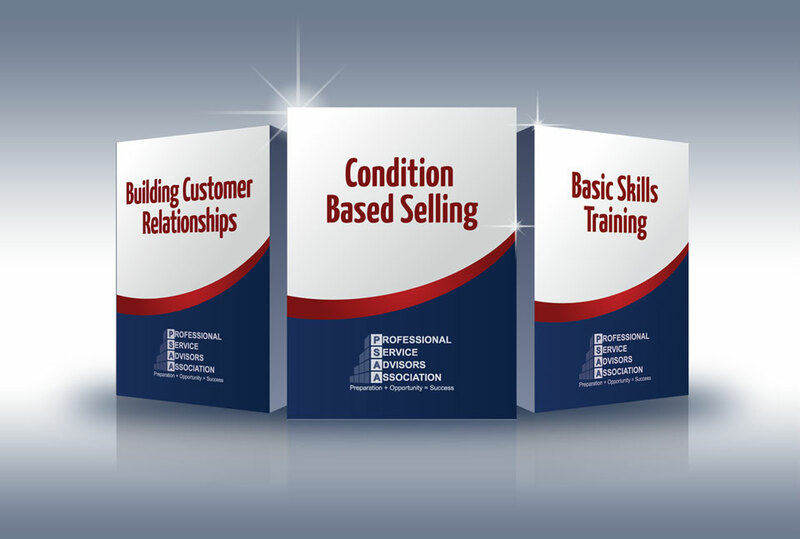 These courses explain proven relationship building strategies and how to use effective retail selling techniques that produce results. Even the most experienced Service Advisor can benefit from the courses and improve productivity. And it’s exactly what a new Service Advisor needs. All courses are focused on customer sensitive situations, are easy to learn and easy to apply. Service Advisors are provided with the necessary skills needed to up-sell recommended or needed services. Our courses teach Service Advisors how to help customers understand the value of properly maintaining their vehicle while creating trust and loyalty.